It’s Memorial Day, so we’re revisiting some of our favorite stories about the military! You might be familiar with the phrase “friend of Dorothy,” an old slang term for a queer person. Not as many people use the expression these days, but it still pops up on LGBT-friendly ocean cruises. 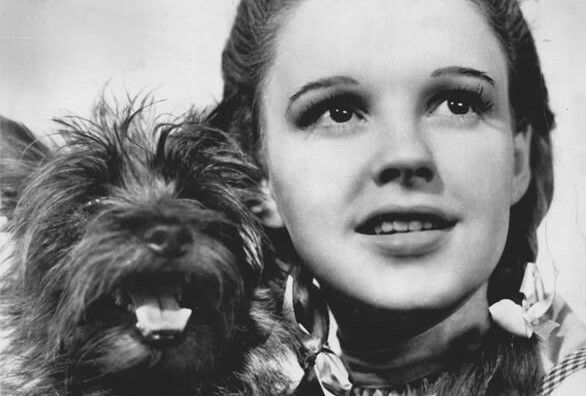 The expression is widely believed to be a reference to the character played by old-school gay icon Judy Garland in The Wizard of Oz. But the United States military apparently didn’t make the connection. According to Randy Shilts’ book Conduct Unbecoming: Gays and Lesbians in the U.S. Military, the United States Naval Investigative Service ran an investigation into homosexual activity among service members in the Chicago area during the 1980s. Investigators learned that gay men sometimes called themselves “friends of Dorothy”, and instead of putting two and two together they concluded that there must be a real-life woman named Dorothy commanding an underground gay army right in the center of the Windy City. Of course. The Naval Investigative Service searched far and wide for this shadowy woman to put an end to her mysterious LGBT legion. But alas, there was no one behind the curtain. Maybe they should have just clicked their heels together.